Albina (Sanek) Sternala, 101, passed away July 12, 2018 at Willimansett Center East in Chicopee. 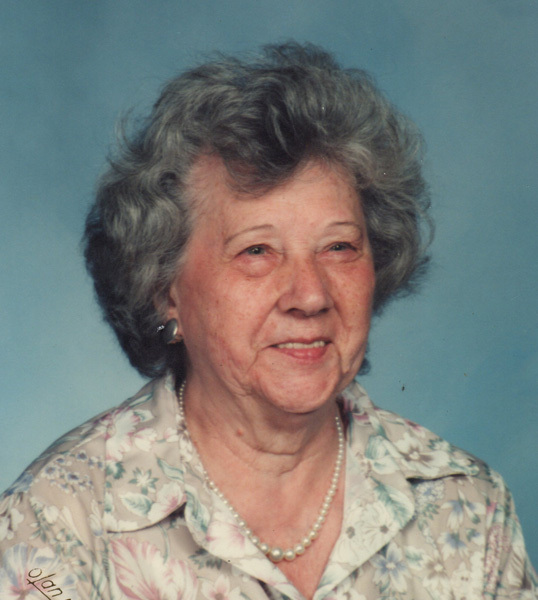 Born in Lawrence, MA on November 26, 1916 to the late John and Mary (Spielska) Sanek, Albina grew up in Southbridge and was a Ludlow resident for many years. She was a communicant of Christ the King Church in Ludlow and was a past member of the Daughters of Christ the King. Albina was the former owner of Benny’s Variety Store on East Street in Ludlow. She leaves 3 grandchildren, Karen MacDonald, Lisa Bull and Roy Bull; 7 great-grandchildren, 7 great-great-grandchildren and several nieces and nephews. She was predeceased by her husband, Bronislaus Sternala; a daughter, Sandra Bull; an infant son, Bronislaus Sternala; 2 brothers, Leon and John Sanek and 3 sisters, Josephine Reopel, Rose Zachara and Julia Sanek. The family would like to thank the dedicated staff at Willimansett Center East for the compassionate care given to Albina. Funeral services will be held on Monday, July 16, 2018 with a Calling Hour from 8:30-9:30 a.m. at Nowak Funeral & Cremation Services, 15 Ludlow Ave., Springfield and proceeding to Christ the King Church for a Funeral Mass at 10:00 a.m. Burial will follow at St. Aloysius Cemetery.